Despite the best efforts of successive governments to create an energy market, it remains notoriously uncompetitive. In Europe, municipal energy is commonplace and growing - we should do the same in Scotland. The so called market is dominated by the big six utility companies, whose pricing practices have been criticised by the competition watchdog. Consumer trust in the market is low and they are reluctant to switch suppliers for a better deal given the hassle of switching. In fairness, the Big Six are often unfairly criticised and new entrants have been guilty of some pretty poor practices as well. The fault is in the system. The IPPR, has made a convincing case for local authorities to set up municipally-owned energy companies that can supply electricity and gas at competitive prices and don’t have to distribute profits to private shareholders. By targeting those on low incomes, they can also help tackle fuel poverty. The local authority “brand” may also encourage otherwise reluctant low-income households to switch suppliers and save money. Nottingham and Bristol have followed this model and London, under a new Labour Mayor, looks likely to follow. In Scotland a slightly different model is being adopted. Our Power is a community benefit society established and owned by a number of local authorities and housing associations. It too aims to tackle fuel poverty through the supply of affordable energy, focusing on social housing tenants, and seeks to buy a minimum of 30% of its energy from renewable sources. The Scottish Government is also at least considering setting up its own energy company, although details are limited. The problem with these models is that they are simply playing the failed market and are relying on the same wholesalers. An alternative approach is for councils to establish genuine energy companies that generate renewable electricity and help households to install energy efficiency measures, funded from the long-term savings in their energy bills. The local government sector annual energy bill of £750 million could be reduced by up to half by leveraging in spending power and using readily available and low cost technologies existing buildings. Fife Council has done some of this with its £1.3 million turbine at the council’s recycling and resource recovery facility near Ladybank. This is expected to generate enough electricity to power 200 homes. 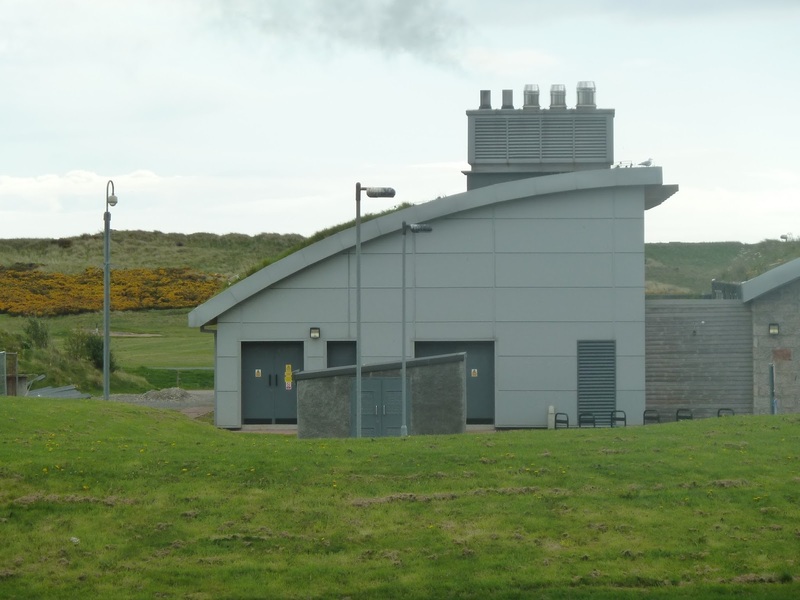 They also generate clean energy from garden and food waste at the council's anaerobic digester and from landfill gas. Aberdeen has similar projects as well as the city's district heating scheme. A number of councils use solar photovoltaic panels. Glasgow City Council is in the process of setting up an energy services company which will oversee the creation of renewables and low carbon projects in the city. It has mapped sites, but progress has been slow. A more radical plan for the city has been proposed by Jim Metcalfe, based on research carried out by the Energy Saving Trust. This would involve the creation of a locally-owned company which would be able to reinvest profits from power generation on improving building insulation and reducing fuel poverty. The council should be leading on this, using council bonds, available at historically low levels, to finance the plan. While electricity generation is important, we also need to make progress on heating homes. This is where district heating schemes come in. The Energy and Climate Change Select Committee heard in January that the £300 million government scheme to develop district heat projects needs a “regulatory investment framework” during this parliament to support future growth. District heating is a 50-80 year long investment and so you want to attract the lowest possible cost of capital to ensure the lowest cost for consumers. Councils are again in the best position to do this. In Scotland, work has begun on tapping into geo-thermal heat from disused mine workings. Governments could help more by making energy efficiency a national infrastructure project. In Norway, the introduction of legislation to support district heating has shown a 150% increase in the installed capacity over the last 10 years. This has helped make it possible for the city of Drammen to create a district heating network that supplies several thousand homes and businesses with clean, affordable heat. This system didn’t rely on Scandinavian engineering, but the expertise of Glasgow-based Star Renewables. There are a number of interesting municipal energy projects in Scotland and the rest of the U.K. However, they are patchy, small scale and not nearly radical enough. We need councils to take the lead, establishing full scale energy companies that can provide energy efficient homes with cheaper electricity and heat. They would also generate desperately needed revenues. This would be municipal enterprise of the sort councils in the 19th Century created to revitalise our towns and cities. We now need 21st Century municipal leadership to take this forward. I always thought my interest in federalism was a quirky minority sport. However, it is now beginning to look dangerously mainstream, given recent initiatives. Some of this has been driven by Brexit and a drive to safeguard Scotland's relationship with the EU. Scottish Labour Leader, Kez Dugdale, has asked former Labour justice secretary Lord Falconer to “explore some potential avenues around a federalist solution”. The idea being that Scotland could retain its place both in the UK and in the EU, reflecting what the vast majority of people in Scotland voted for in two referendum results. They voted to be part of the United Kingdom and they voted to be part of the European Union. This idea is not incompatible with the Scottish Government's approach, looking at what has become known as 'reverse Greenland'. Denmark joined the EU, but semi-autonomous Greenland didn't. If such an approach was deliverable, it would clearly require a form of federalism in the UK. Before we get over excited, it has to be said that there are very few experts, here or in Europe, who believe this is doable. Particularly if the UK goes for a loose trade relationship with the EU based on WTO rules, rather than the Norway or Swiss model that includes free movement of people. The former would probably require a hard border between Scotland and the rest of the UK, although some believe there are National Insurance solutions to this. Whatever the practical and political problems (don't mention the Spanish! ), it is absolutely right that politicians should keep an open mind and pursue all options. That's why Ruth Davidson's uber unionism is the wrong approach. In contrast, one Tory who has always been prepared to think out of the box is Murdo Fraser MSP. He has supported federalism for some time, advocating various forms that would also include administrative devolution in England. As he himself admits, this would not be pure federalism in any sense, more likely ‘quasi-federalism’. However, as the UK is an asymmetric state any solution is going to be untidy. Next up is the Constitutional Reform Group, who have drafted a new Treaty of Union based on full blooded federalism. In their model, each constituent part of the UK would agree what powers it wanted to share - similar to the 'Devo-Max' approach. This group is also chaired by a Tory, Lord Salisbury, and includes the former Liberal Democrat leader Sir Menzies Campbell, the former Labour Northern Ireland and Wales secretary Peter Hain, the former clerk of the House of Commons Lord Lisvane, and the former Ulster Unionist politician David Burnside. The group also claims the support of former Conservative prime minister Sir John Major, and from the current chairman of the Conservative backbench 1922 Committee, Graham Brady. Again the involvement of leading Tories is interesting, given their traditional reluctance to address constitution reform. We should also give credit to the Liberal-Democrats who have been consistent supporters of federalism. This leads us onto the questions of powers for a purpose. The CRG plan is very much about the mechanisms of federalism, albeit with a political understanding of the additional pressures for constitutional change post-Brexit. The purpose of new powers is much clearer in the Red Paper Collective's recent paper 'Progressive Federalism'. In this and previous publications, the group says constitutional change must be measured against its potential to challenge the power of capital and bring the economy under democratic control. The latest publication includes a range of policies that could achieve such a goal, including my own chapter on local economies. "The truth is that many people feel the UK is over-centralised. That politics is broken. That there is a closed elite circle in Britain which rules in its own interests rather than those of the wider population." We should also not forget that federalism has economic challenges, particularly for Scotland. It may address many of the additional costs independence would bring and fixes the currency and other issues. However, it still leaves a big gap in the public finances since the oil price crash. What is clear from the above is that federalism can take different forms and certainly has many different motivations. However, the consistent theme is that the Westminster system is broken and the future needs to be less centralised - calling an end to top down politics. In Scotland, that also means devolution should not stop at Holyrood - Scotland isn't my idea of local. At home, when resisting throwing out old clothes, I have been known to argue they might come back into fashion. Well, it looks like federalism might just be doing just that! In my post-Brexit blog I urged, in the words of my old Gran, everyone to 'cool your wellies'. Sadly, some, most notably the Westminster PLP, ignored that advice. Now we are going to have another leadership election, I will invoke another of my Gran's sayings, 'Play nicely!'. So, another leadership election, probably not what the coup plotters wanted, but that's the problem with coup's, they don't always go to plan and they can have unforeseen consequences. I have to say that I despair at Westminster as an institution. Putting politicians in a bubble for the best part of a week, separated from the real world, with largely only their colleagues to talk to, is a recipe for disaster. At least at Holyrood, MSPs go home more often. If Brexit had been a little closer to the recess, this shambles might have been avoided. I take the view that the NEC was absolutely correct in their interpretation of the rule that ensures the incumbent is on the ballot paper. I won't offer yet another legal opinion, but it was drummed into me at law school that you start with the plain English meaning of words. In this case the reference to 'challengers' is pretty clear. In addition, it would be politically unacceptable to the membership not to have Jeremy on the ballot paper, when they elected him only 9 months ago. I voted for Jeremy last time, although he wasn't my immediate choice. I did so because he was the only candidate who offered a credible vision for Labour and the country. The other candidates said little and did even that badly. That doesn't make me a starry eyed Corbynista (I am probably too old and cynical to be starry eyed about anything!) and I am prepared to consider other candidates. I do believe Jeremy has offered a policy vision that challenges the conventional wisdom and offers hope to millions whose lives have been damaged by austerity. I also accept that to win elections competent political management is required and he and his team have on occasions fallen short on that. However, this is not the cause of Labour's long term problem. These have been in the making for many years, and their architects are some of the MPs behind the anti-Corbyn campaign in their Westminster bubble. And yes, in Scotland, some of those who lost their seats and appear to have no insight into the negative role they played in Scottish Labour's problems. Angela Eagle, who I voted for as Deputy last year, will have to do a lot better than her launch speech. Even if I accepted her analysis of Jeremy's failings, just being the 'I am not Jeremy' candidate is not enough. It all sounded so technocratic, with no Plan B about what she would actually do. “I’m not a Blairite. I’m not a Brownite. I’m not a Corbynista. I am my own woman,” tells me what she isn't - not what she is for. Even more importantly, she hasn't explained how people left behind by austerity and abandoned by an inward-looking elite political class can have some ownership over their lives. This is what the leadership election should be about, not vacuous cliches, or personal abuse. Scotland has been more restrained, excepting the abysmal outburst from George Foulkes in the Sunday Herald. I would urge comrades to keep it that way. Robust debate is fine, gratuitous abuse is not. Back to my Gran. It would be fair to say that my brother and I didn't always follow her advice to 'play nicely'. However, on reflection she was right. It's easier to patch up an argument and move on when you do. Something those who really care about politics and our country's future would do well to remember. Keeping the lights on at a reasonable price and meeting decarbonisation targets is a complex business and not without controversy. The Future Energy Scenarios (FES), launched today, is National Grid's view of plausible and credible pathways to 2050. This drives planning and investment decisions in the system. It's also probably the best look at where the energy industry is going in the foreseeable future. FES uses four scenarios to model changes to the edgy system. They start with the optimistic 'Gone Green' which assumes high prosperity and high green ambition, with carbon targets met through investment and innovation. Then 'Slow Progression' which assumes a still ambitious, but a less prosperous economy, with compromises on carbon targets and less investment. Next is 'Consumer Power', still a prosperous economy but one driven by consumer desire for innovation, with high levels of distributed generation and storage. The worst scenario is 'No Progression' in which business as usual prevails with low growth and limited innovation. Scenarios are not about predicting the future. Just as well, because the track record of energy scenarios since the 1970's is not great. They are about giving us some numbers under different economic and policy circumstances. More a planning tool than a crystal ball. Given past forecasts, it is surprising that all the scenarios now assume a continued reduction in electricity demand until around 2025. Partly due to the slow climb out of recession, but also due to more efficient appliances and the collapse of heavy industry. However, demand starts to rise again under the more prosperous scenarios. Gas demand, after an initial fall, looks likely to maintain a significant part of the mix. The prosperous scenarios assume moving away from carbon intensive sources and/or more local generation. There is a little more regional analysis this year, something National Grid is weak on. They map the regional sources of generation and identify some regional differences in demand. The key message for me from this year's FES is that energy supply is becoming increasingly diverse. Fossil fuels will continue to decline with an extra 5GW closing by 2016. Potentially 18GW of additional storage could be available by 2040. The constraints appear to be more market and regulatory than technological, although this is still more about short term storage than addressing seasonal imbalances. They assume a big increase in imported electricity and gas, from 4GW at present to 23GW by 2040. 54% of gas could come from alternative sources by 2040, including shale, biomethane and bio-substitute natural gas. More action is needed in the next decade if the UK is too achieve the 2050 carbon reduction target. None of the scenarios indicate that the UK will meet the 2020 target of 15% of energy coming from renewable sources. Progress is reliant on key technologies, nuclear, renewables and CCS. It can be done without one of these, but becomes more challenging. In practice two of them are looking dodgy and renewables suffer from investor uncertainty. However, it is heating and transport that needs to do much more. Gas is seen as vital to facilitate decarbonisation. It's flexibility can be used to balance the system and they assume there will be 11GW of CCS enabled gas plant by 2040. It will still be important in heating homes, with 70% of households still using gas in 2030. Hopefully district heating will play a bigger role, although heat pump take up so far is slower than anticipated. While shale gas has been delayed, they are still assuming it will play an important role, in particular under the consumer power scenario. The was some scepticism about this amongst today's audience, many of whom doubt the economic viability, never mind political and environmental factors. With the greatest minds in the energy industry present at the conference, only a handful, on a show of hands, thought we would meet 2050 decarbonisation targets! That doesn't mean it isn't desirable, but it does reflect scepticism about government taking the necessary actions. It certainly looks challenging. National Grid are rightly also concerned about security of supply and keeping energy bills down, so balancing objectives is an additional complexity. The external speaker, Professor Jim Watson, emphasised the importance of doing more on energy efficiency, something we should be aware of in Scotland as we will miss the statutory fuel poverty elimination target this year. He was also not convinced that shale gas will be economically viable or the case for gas bridging the gap on carbon reduction. Relying on CCS when the UK government has pulled the plug on funding seems pretty optimistic as well. He also made the important point that we need to look more carefully at the distributional impact of scenarios on different income groups. National Grid can be a bit fixated on technology rather than people. Some wonder if there is a disconnect between the scenarios and the market mechanisms that will be needed to deliver them - my own view is that they never will. National Grid take the view that they will change to meet demand. Unsurprisingly, they are not keen on an independent system operator as recommended by the Commons Energy Committee. They don't think there is a significant conflict of interest, or if there is, they can manage them. They claim their scenarios are not driven by commercial interest of National Grid, but they do use them for their business planning. The elephant in the room today was of course Brexit. How it will impact on the energy industry depends on your view of the economic and political impact of leaving the EU. If you think it will mean lower/higher growth and less/more green ambition, then this will impact on the energy scenarios. In particular, the big assumptions of additional electricity import capacity may depend on staying in the EU energy system. With the U.K. voice gone from the table, it remains to be seen what impact that will have on EU policy. Maybe less market oriented? While some of the assumptions made in FES may be controversial, it remains the the most comprehensive study of future energy planning for the UK. There is lots of detail in the documents that can downloaded. Perhaps one to dip into, rather than a bedtime read! Education reform - empowerment or centralisation? The Scottish Government has signalled education as its first priority, most notably by giving the Deputy First Minister, John Swinney the lead role. Possibly shades of Tony Blair's, education, education, education mantra here. The first indication of John Swinney's approach comes with the publication of his Education Delivery Plan and it looks eerily reminiscent of the New Labour approach to public service reform. The Education Delivery Plan aims to achieve excellence and equity in Scottish education by focussing action around three key priorities: closing the attainment gap, delivering the curriculum and empowering teachers, schools and communities. The plan gives an explicit commitment to “a publicly owned and run, comprehensive education system in Scotland – a mutual system, not a market system – which supports every child to achieve". This is clearly meant to differentiate from the Tory, free school, privatised model, which is supposed to be driven by the market. While the Tory approach pays lip service to inequality, the driver for this plan is bridging the attainment gap. A pupil from the 20% least deprived areas of Scotland is almost twice as likely as one from the 20% most deprived areas to leave school with a qualification at SCQF 6 or better (Higher equivalent or above). There will be few who disagree that this the correct driver, five years on from the Christie Commission identifying the 40% of public spending on failure demand and the importance of preventative spending. However, schools cannot bridge this gap alone. This can only be addressed by cross-cutting government action on income, taxation and strong public services. The most important intervention has to be before a child gets to school, arguably before birth, but certainly in the early years. This plan therefore includes the government's welcome commitment to the doubling of early years and childcare hours. The concerns relate to funding and quality. It looks as if we will have to await the financial review of early learning and childcare in September 2016, for clarity on how the promised £500m is going to stretch to 20,000 staff and 600 centres. The frequent references to childminding is worrying, as this is not the quality early years provision required to make a difference in supporting children in the vital early years. In schools, there will be a renewed focus on literacy and numeracy at P1-3; indisputably the correct focus. This will be backed up by targets, inspection, advisors and a range of national programmes. As well as an increase to £750m in the School Attainment Challenge fund that ministers dole out directly. It is here that we see shades of the Blairite approach developing - very reminiscent of the central delivery unit approach to reform. Top down targets and inspection, backed up by league tables in a reformed Parent Zone website, with ministerial handouts to pet projects. More positively, there are elements of the plan that recognise that resources will have to be targeted on the schools in the most deprived areas. Proportionate universalism is the right approach, but it will require some bold political decisions if the targeting is to be significant enough. There will be a range of measures to reduce bureaucracy for teaching staff by clarifying the requirements of Curriculum for Excellence. This will be welcomed by teaching staff, although the other centralised initiatives may place new burdens on schools. Sadly, there is no recognition of the role the wider education team play in schools – staff other than teachers are totally ignored. Teachers may be less keen on the introduction of national standardised testing in all schools by August 2017. A Governance Review will be announced alongside the Programme for Government in September 2016. This review, starting in early 2017, will examine the system changes required to "empower schools, decentralise management and support through the encouragement of school clusters and creation of new educational regions". The plan is to extend to individual schools responsibilities that currently sit with local authorities. This will be done in a new Education Bill in the second year of this Parliament. The structural changes will be the subject of further consultation, but the direction of travel is clear. It proposes centralising the education role of local authorities to new regions with more central government direction. How these new regions will be constituted will be important for issues like VAT exemptions and the employer role. Equally important, will be clarity on the freedoms schools will have over devolved budgets, including the deployment of staff. The new governance model is one of some devolution to the very local (individual schools), with an enhanced role for central government. Government will have a wide range of powers to direct how education is delivered, backed up with advisors, testing, direct funding and data transparency. In a country the size of Scotland it is perfectly reasonable to set national standards and frameworks. The risk with this plan is that almost all the real levers of power over schools will be in St Andrew's House. I count more than twenty new national initiatives, on top of those already in the National Improvement Framework. New Labour may be dead, but it's approach to public service reform is very much alive in Scotland. The temptation on ministers to try and run services from the centre is always strong. However, the lessons from the 1980's are that central delivery doesn't work - so that temptation should be resisted.